ARSONORE 2019 – program presentation! Wolfram Berger & Markus Schirmer präsentierten in der Grazer Helmut-List-Halle im Rahmen des Festivals „styriarte“ vor 1200 Zuhörern ihr neues Erich Kästner-Programm „Leben ist immer lebensgefährlich“. 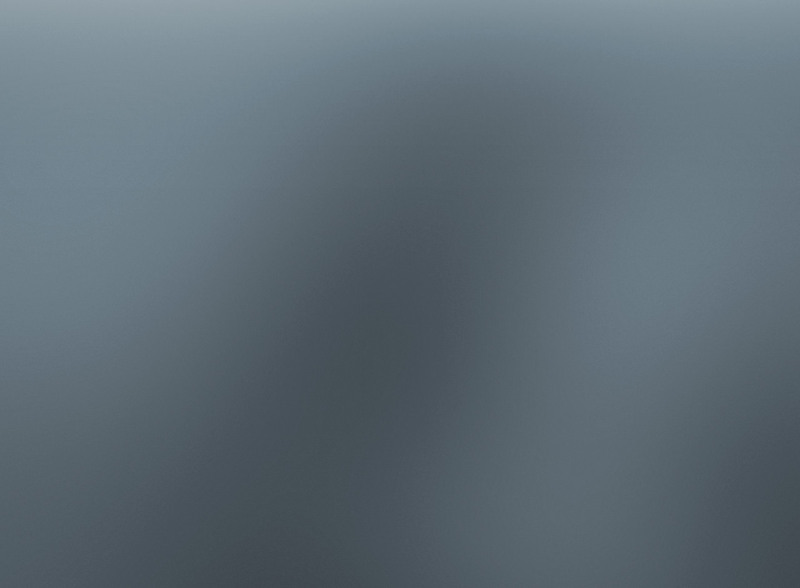 Dazu erschien dieser Tage auch die gleichnamige Live-CD beim ORF-Label. Sie ist im gesamten deutschen Sprachraum ab sofort online und als CD im guten Fachhandel erhältlich ! Brandnew SCURDIA CD+DVD has been released in Austria! 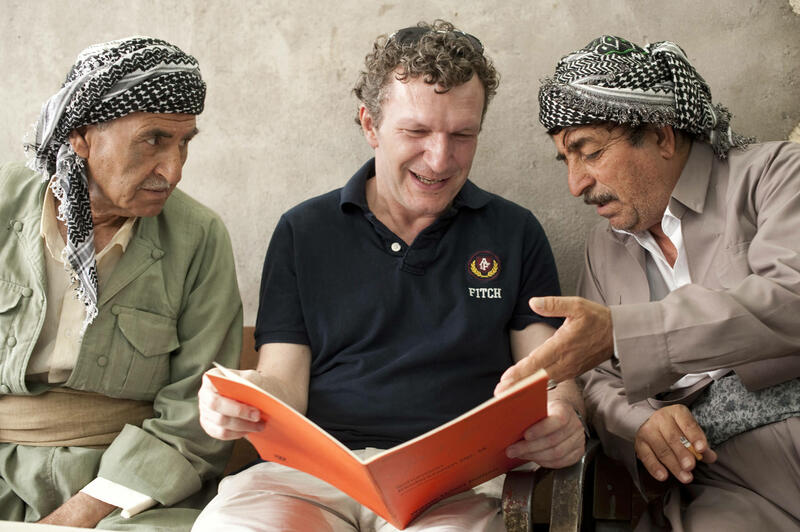 Markus Schirmer receives GRAND JOSEF KRAINER PRIZE 2014 ! For his services to music, Markus Schirmer has been singled out by his native land of Styria for one of its most honourable distinctions, which he will receive in March in a ceremony in the White Hall of Graz Castle: the GRAND JOSEF KRAINER PRIZE 2014. 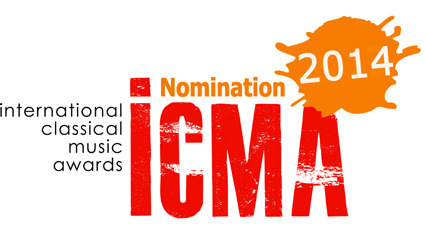 „THE MOZART SESSIONS“ CD nominated for ICMA 2014 ! 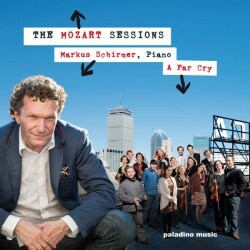 „THE MOZART SESSIONS“ – the highly acclaimed and award winning recording by MARKUS SCHIRMER and Bostons dynamic young chamber orchestra A FAR CRY is now nominated for the ICMA (international classical music awards) 2014 / section „concerto“ ! Every year worlds finest prominent music magazines award the most outstanding new classical CD releases. 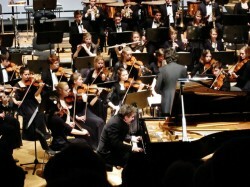 „MAESTRO PIANISTE“ Award for „THE MOZART SESSIONS“ CD! Major French music magazine PIANISTE awards Markus Schirmers brandnew outing „THE MOZART SESSIONS“ with the prestigious „MAESTRO PIANISTE“ Prize in its latest issue and evaluates the record as one of the most outstanding recordings in 2013 ! Read the whole review here. 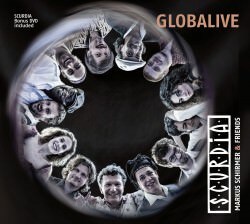 “SCURDIA – Markus Schirmer & Friends” on 3SAT and ORF (Austrian Broadcasting Corporation), the SCURDIA debut album “United Live” immediately shot to the top of the Amazon and iTunes World Music charts. SCURDIA is a collaboration between eleven top musicians from all parts of the world. 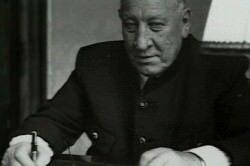 In the course of time Günter Schilhan and Helmut Gürtl’s sensitively produced but absolutely gripping TV portrait of Markus Schirmer’s exciting project will also appear on the market as a DVD to be released internationally. Please visit and „like“ also the official SCURDIA Facebook page ! 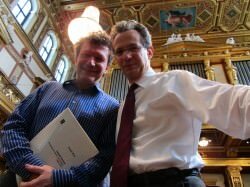 …Fabio Luisi had put a rarity on the programme for this concert: Joseph Marx’s piano concerto “Castelli Romani”, with Markus Schirmer as soloist. The first bars make it clear what the work calls for: an uninhibited outpouring of feeling and emotion. This mighty flow of late romantic exaltation, however, is regularly modified and interrupted with impressionistic sound painting that initially seems somewhat out of place. European Tour: Sensational reviews for Markus Schirmer and the Bundesjugendorchester under the baton of Michael Sanderling ! This album is more than just extraordinary. 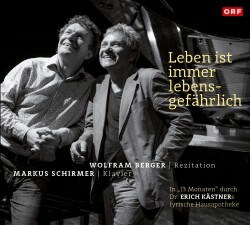 After having won a number of prizes for his solo and chamber music CDs, the Austrian pianist Markus Schirmer has now recorded a CD with orchestra. And what an orchestra! After being regarded as an insider tip for some years, the chamber orchestra A Far Cry has had a series of rapturously received triumphant successes and is now recognized as THE young American string orchestra of our day. Based in Boston, the ensemble has a strikingly unconventional and refreshing approach to musicmaking. All the works they perform are rehearsed in constantly changing small groups, with every player taking his or her turn as leader. There is no conductor. The “Criers”, as they call themselves, already have three CD albums to their credit and have just returned from a highly successful first European tour. The New York Times had the highest praise for this unusual collective group, making particular mention of the strong and varied personalities of its members. The young musicians’ express goal is to combine the power of the orchestral sound with the intimacy of a string quartet. Which they succeed in doing with staggering success. Schirmer first got to know members of A Far Cry when he was on a concert tour in Germany in 2009. In the same year he accepted their invitation to come to Boston, where they performed their first Mozart concerto in the city’s venerable old Jordan Hall. The recordings were made in the spring of 2012 in the famous acoustic of the Jordan Hall. Sound engineer was the young Jesse Lewis, now the winner of two Grammys, sensitively assisted by the experienced classical CD producer Roger Tapping. The CD features Mozart’s Piano Concertos no.12 in A major K 414 and no.13 in C major K 415, and the Church Sonata in C major K 336. The majority of the cadences and lead-ins are by Schirmer himself. The collaboration between the Austrian pianist and the young US-Americans is in the truest sense of the word fresh, sensitive and highly inspired. Their unanimity in the shaping of every single phrase, their concern to find their own individual and special sound, the harmonious give-and-take between them – these things make the “Mozart Sessions” a very special CD. This is a Mozart who is full of surprises.